Customized Slazenger Turf Series Cinch Drawstring Bags are featuring open main compartment with cinch top and also a zippered front pocket. Mesh organization and ear bud port access makes the front pocket highly useful. 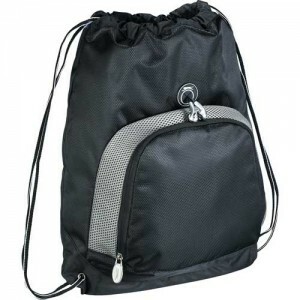 Grommet reinforced drawstring design makes backpack and over-the-shoulder carry possible. 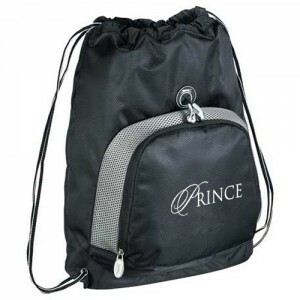 Manufactured using 420d Diamond Dobby and 600d PolyCanvas materials, these custom drawstring bags are superb for the promotions of universities, training centers and also tour operators. Order these custom polyester / nylon drawstring bags quickly to get our free artwork design and free online proofs facilities. Request a quote to know savings that you can pocket on bulk ordering these Customized Slazenger Turf Series Cinch Drawstring Bags.